Vacancies are one of the biggest problems rental property owners face. 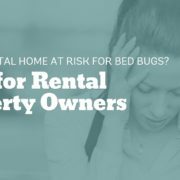 Every day your rental home sits vacant, you are losing money. Some landlords try to offset the cost of vacancy days by cutting corners like not keeping the lights on or letting the landscaping overgrow. What they don’t realize is that not keeping your property looking nice may lead to more vacancy days and attract less desirable tenants. 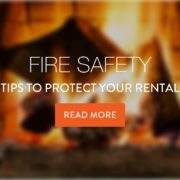 That is why your property management in Fort Worth matters. With the right property management, you can decrease both costs and vacancy days. 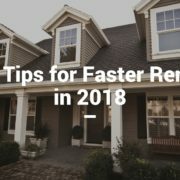 Here are our top ten tips for renting out your home faster in 2018, so you can get your year started off right! Pay attention to your home’s curb appeal. Add amenities like a washer and dryer or new light fixtures. Deep clean inside including carpets and air vents. Show your home only after the previous tenants have moved out. Keep your utilities on and make sure all light bulbs are working. Touch up paint around the house. Trim landscaping in front and back of the house. Show potential tenants the most recent inspection report letting them know the home is safe and up to code. 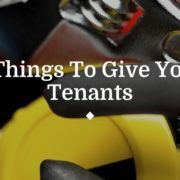 Make renting easy with an online tenant portal for maintenance tickets and rent payment. Hire the right professional property management company. Any experienced property owner can tell you that managing rental property is a full-time job. When you leave small details undone, they can turn into big and costly mistakes. 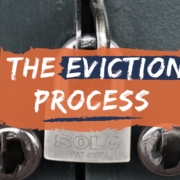 When you hire professional property managers, you can rest easy knowing the professionals are doing everything they can to get your home rented quickly to qualified tenants. The team at Specialized Property Management is exactly who you need to help you get a better return on your investment. 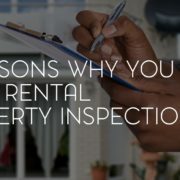 Our property managers take care of everything: getting your home rent ready, scheduling and performing maintenance and inspections, communicating with tenants, and everything in between. To hear about all our services and schedule a consultation call Specialized Property Management in Fort Worth today!